I have been struggling lately with really dry skin. I don't know if it's because of the warm weather here in Arizona, or just my skin type, which has always been a little bit on the dry/flaky side. H20 Plus caught my eye right away, because one of it's key components is hydration, which is essential in my skin care regimen. Oasis™ Dual-Action Exfoliating Cleanser ($24) Deeply cleanse and revitalize skin with this gently refining, oil-free formula. An exfoliating fusion of fruit enzymes and marine algae helps sweep away dull surface cells. Hydrating sea botanicals replenish depleted moisture for visibly smooth, radiant skin . This cleanser smells like sweet watermelon, and is very gentle on my face. 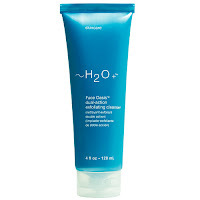 I have very sensitive skin, so this cleanser was perfect. Plus I'm always looking for face exfoliators that don't redden your skin or create irritation. This one only gets rid of the dead skin and hydrates nicely. 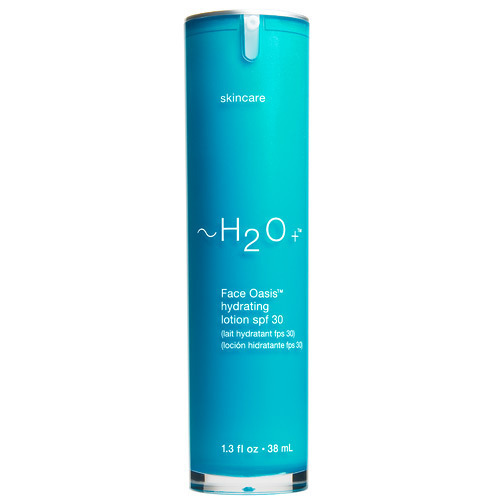 Face Oasis™ Hydrating Lotion SPF 30 ($40) Hydrate your skin with sun-smart moisture. Enriched with UVA/UVB protection and our UV-Active Technology, this oil-free formula helps skin resist environmental stress. When exposed to light, marine microspheres release a concentration of antioxidant vitamins C and E This also smells of watermelon, and leaves your face hydrated throughout the day. Goes perfect with the exfoliator, and also protects you from the sun's harmful rays. 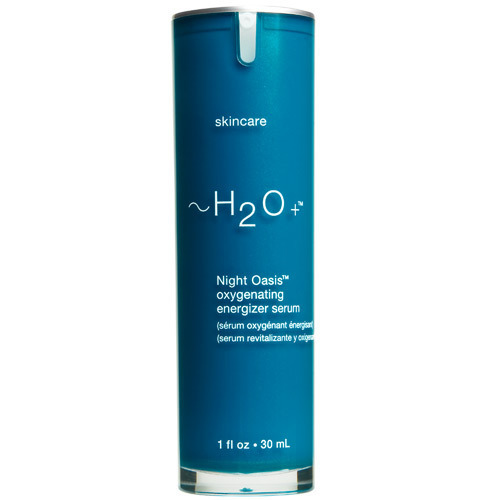 Night Oasis™ Oxygenating Energizer Serum ($38) Recharge your skin overnight with this oil-free serum. 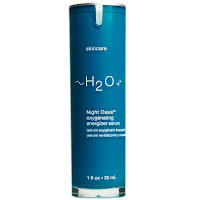 A burst of oxygen-rich nutrients replenishes skin’s resilience, empowering it to resist daytime stress. Moisturizing marine botanicals combine with goji glycopeptides to visibly firm and revitalize. This serum comes in an easy to use pump bottle and makes for a very nice night cream. When combined with the exfoliator before bedtime, your face is left feeling clean, and smelling of sweet citrus. H20 Plus products can be purchased on their website, and they offer free shipping on all orders over $100. H20 Plus also carries a large variety of eye creams, masks and all other skin care essentials. Also find H20 on Facebook and Twitter. I received product for the purpose of this review only. All opinions are my own. No monetary compensation was exchanged for this posting.